Something completely different for this effort at capturing a very narrow DOF. 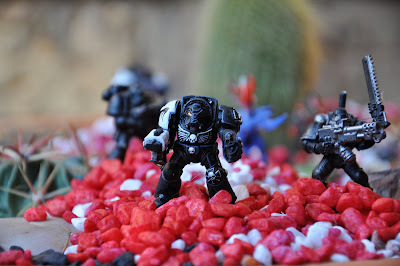 I've rounded up a few Warhammer figurines and put them in this other worldly setting - actually a terracotta cacti dish. Close-up, it proved quite difficult to frame the shot but I hope I've got the lead marine looking menacing enough.